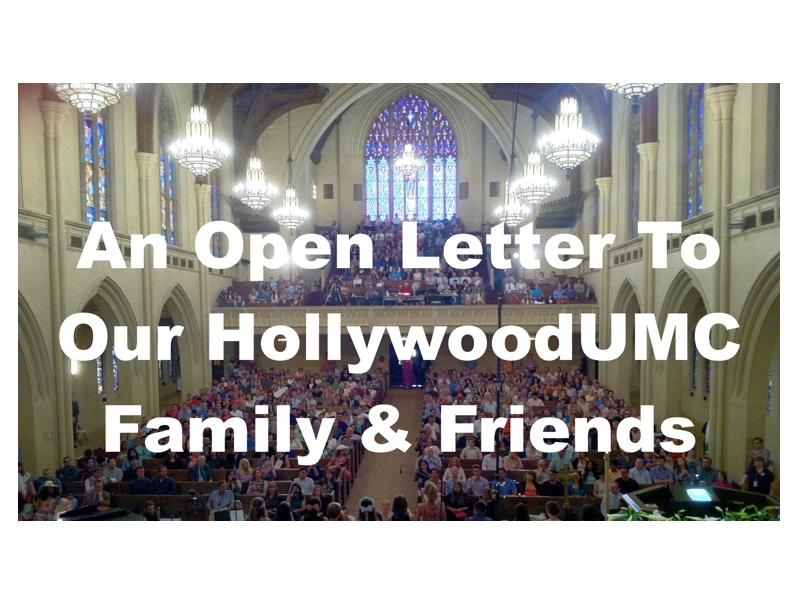 At Hollywood UMC, we believe that God is LOVE, that all people are welcome and equal in the family of God, and that God is for us, not against us. We believe in Jesus Christ, the son of God, whose example of radical love and justice we seek to follow. 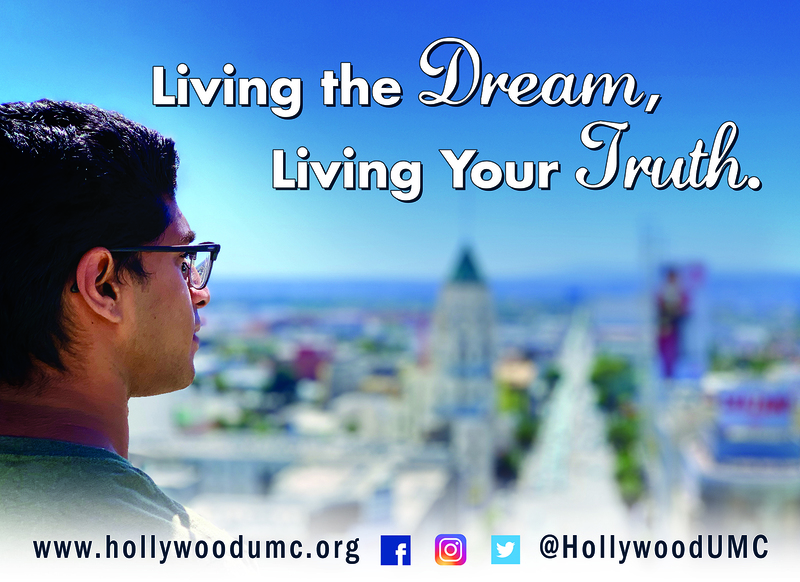 We believe in the Holy Spirit as God’s constant presence in our lives and in our hearts, always with us to remind us of God’s acceptance and love for us, and empowering us to do God’s work. We believe in the Bible, interpreted through the lenses of our reason, experience and tradition, and wherever it agrees with the fundamental truth of God’s love and grace as revealed by the life of Christ. We believe that God calls us to actively build the kingdom of God on earth, that being Christian requires us to work for social justice. We believe in peace over war. We believe in grace over works. We believe in forgiveness over sin and judgment. We believe in the power of prayer, that fear is not the only force at work in the world today. 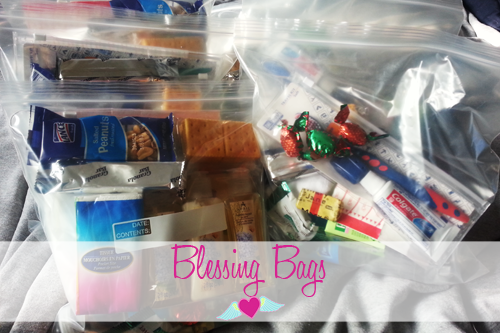 We believe in feeding the hungry, clothing the naked, housing the homeless, healing the sick, and mending the broken. We believe that when you truly embrace diversity, you embrace God, that all are fully welcomed, included and affirmed regardless of race, ethnicity, sexual orientation, gender, occupation, or station in life. We believe that it’s good to question. 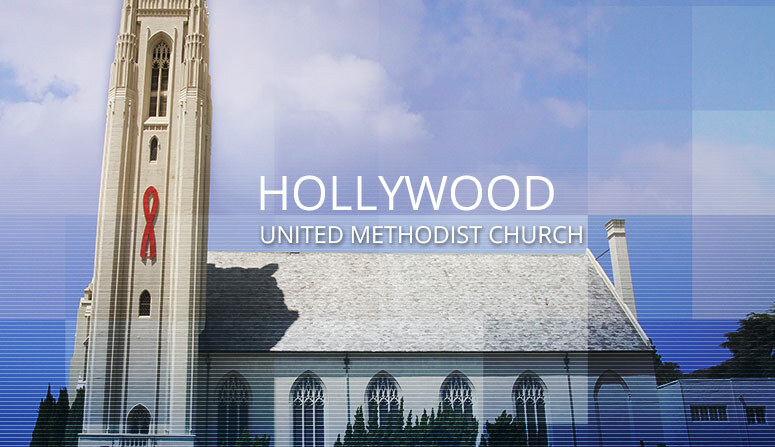 We may not always believe exactly the same thing, but the people of Hollywood UMC believe in God and each other. If you’re searching for something to believe in, our hearts and minds and doors are open. Come on in. As a welcoming community of faith, we celebrate the diversity of all God’s children, invite everyone to share God’s love and grace, and offer a sanctuary of hope. WELCOME, WORSHIP, LEARN, SERVE and GIVE!